You will be hard pressed to find a more passionate advocate for childhood than Carlsson-Paige. Her insights on what kids need from the adults in their lives will have you reflecting on the kind of time that kids need, the importance of play, and protecting kids from the adult world that they are not ready for. I keep going back to this book for inspiration and ideas. 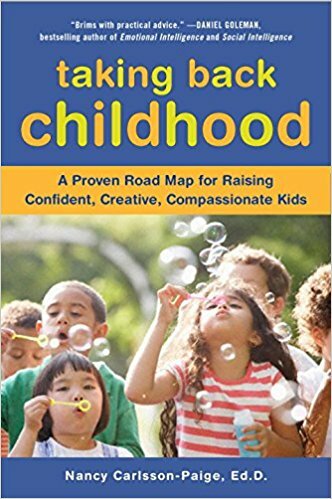 It is a great resource for parents and a great staple in a parent education library.